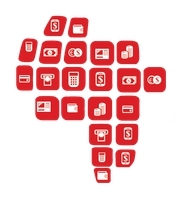 The potential of new technologies and applications is to transform and leapfrog financial services in Africa. It is not in doubt with the innovative trend from banks, fintechs and mobile network operators in providing basic financial services encompassing payment, banking, money transfers, insurance, crowd funding, etc. across the continent. The continent is moving away rapidly from legacy systems and leapfrogging into next generation technologies with new opportunities for the supply and demand side operators in the space of the African financial technology.